Born in Chicago and raised in the area, Sheri developed a love for the city. After graduating witha degree in marketing from the School of Business at the University of Wisconsin – Madison, Sheri worked in incentive travel marketing. She then spent several years as a broker of luxury European travel, specifically European canal barge cruises. During that time, Sheri specialized in sales, marketing and public relations (working closely with writers to get articles in high end publications.) She also focused on very personalized client service, and consistently exceeded her sales goals. After obtaining her Real Estate Brokers License, Sheri continued to strive for excellence by becoming Quality Service Certified. She ensures that her clients’ expectations are met and exceeded each step of the transaction by working hard to truly understand the needs and wants of each individual buyer or seller. Prior to joining Streeterville Properties, Sheri accomplished a successful three years at another large real estate firm. Sheri has resided in the city of Chicago for over a decade, inhabiting the Lincoln Park, Old Town and Streeterville neighborhoods. She has been a volunteer with the Rehabilitation Institute of Chicago and the Juvenile Diabetes Research Foundation. 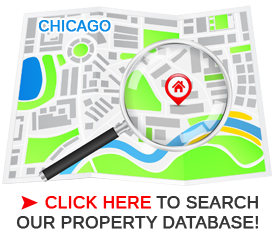 She is a member of the Chicago Association of Realtors, the Illinois Association of Realtors, the National Association of Realtors and the Northern Illinois Multiple Listing Service.